Two Face Cajon 3 in 1 Super Gloss With Laser Logo. 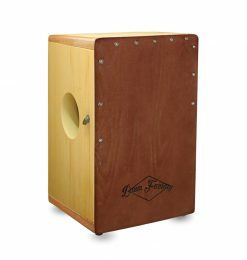 If you need a deluxe looking Cajon that shows your taste of luxurious percussion style, this Cajon is for you. 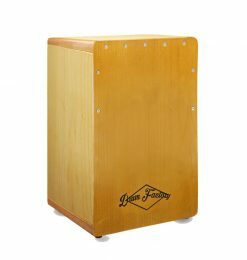 Not just merely a deluxe look, but it offers a unique two face Cajon that brings 3 different sounds in 1 cajon. The sound produced on one faceplate comes from the 4+4 Flamenco Multi String system, while on the other faceplate you have On / Off Snare system where you can choose to play with or without the snare sound. We also installed our patented bassport system that brings a deep bass tone. The deluxe look of the cajon with super gloss natural white teak body finishing and 2 faceplates with coffee brown doff & walnut doff finishing style, surely will make you the center of attention. 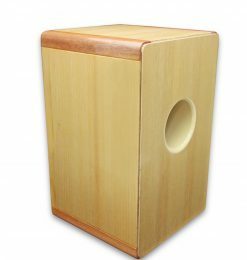 It is a deluxe looking cajon for you who wants to show your taste of luxurious percussion style. 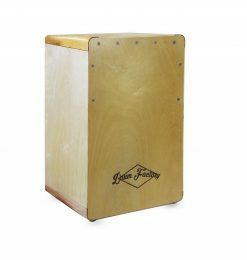 Designed with super gloss finishing, white teak plywood body combined with four corner joints from solid mahogany wood, this an ultimate look on a cajon. The logo is special as it is engraved with laser on the faceplate. Plus, the seat plate is designed with rough top finishing to give grip while you sit on. Great configuration inside is the On/Off Snare system that brings you option of playing with snare for crackling sound or without snare for woody sound. We also installed our patented bassport system on it. This will give great crackling and woody sound also low frequency of deep bass tone.